More than one company has had to notify customers of a breach in the security of private information due to misuse of confidential waste. Every business from banks to restaurants to major credit card providers have gone on record with public notifications and apologies when private data has been released into the hands of the unauthorized. Governmental agencies have lost laptops through theft and other means that have contained critical information on them that could be misused by those with criminal intent. By far, however, it is simply paper documents and data disks that end up in the wrong hands. Many new and established businesses grow into the necessity of developing protocols to handle waste materials that are of a confidential nature. It could be anything from medical records to printouts or CDs containing customer account data. The “nothing has ever happened yet” mindset leads to complacency in trusting antiquated means of handling confidential waste that can lead to a large scale theft and irreparable damage. Proof of negligence could lead to both criminal charges and civil litigation that could bankrupt even a large company in short order. Every company, whether small or an industry giant, needs to not only have protocols in place that are secure and inviolate when it comes to the destruction of sensitive information but regularly reexamine the protocols in place to be certain they are still viable and effective. There are industry standards that lead to a measure of protection in the courts. Exceeding industry standards provides further protection against anyone ever being able to successfully bring an accusation of negligence. We live in a litigious society. Even if the lost or stolen confidential customer information does not result in loss of money but is rather just a loss of privacy, there will be powerful law firms that will bring class action lawsuits in an attempt to seek damages. The harm to a company’s reputation in the minds of its own customers will never recover once the deed is done, regardless if anyone gets sued. A company could hire and train in-house personnel to handle the task of destroying data. However, the best method is to hire an agency already established to do the job. Check their references and every step of the security protocols they follow when it comes to destroying everything from documents to CDs to old hard drives from obsolete computers. The company should provide locked containers that act as receptacles for the confidential waste. The containers should be transported locked to the destruction facility. Be sure to know what will happen to the information scheduled to be destroyed every step of the way. The paper shredding company should also be ready to advise clients as to their hiring policies for those who will handle the data. Never forget that there are those with criminal intent who would like noting more than a company to take a lackadaisical approach to handling sensitive customer information. Do not make it easy for them to destroy a good business overnight. This post was provided by Ira March, a knowledgeable business woman and information security enthusiast. Her business, a leading financial institution, uses Shred-it for confidential waste disposal and security shredding to protect their clients’ information. Okay you’ve finally opened your online shop. How exciting! Now all you need is shoppers. Better yet, you need customers, repeat customers! Here are a few tips that will help you earn repeat customers. Some of the tips are no different than if your store were a physical one yet some of are special to online shopping. Online shopping can be a bit scary. Reassure your shopper you are legit with the utmost customer service. Always, when corresponding with a customer, either over the phone or the Internet, be polite and courteous; be attentive to their needs. It doesn’t matter how many times it seems you’ve been asked the same question, answer it as though you’ve never heard it before. Treat each and every shopper as you’d expect to be treated. And, if needing to get back to a customer, do so in a timely manner. Superior customer service will help lure shoppers back. Always follow up with your customer feedback. You may receive feedback on one of the many forms of social media, directly, or elsewhere, but whatever the case, always acknowledge it. Take joy when you get complimented but take notice and learn from any negative feedback you may receive. Do not delete negative comments! It may be tempting, but this will only decrease trust in your company. It’s much better to acknowledge and see how you can right the situation. Know who your buyers are. Promote your product or service by concentrating on that particular market. Let people know about you. Put yourself out there. Use social media as a form of advertising and if blogging write enthusiastically. Keep in touch with your customers. Use email marketing (newsletters, promotions, specials) and again, social media to remind them who you are. Just be sure not to over do it. You want to be remembered and thought of not be a nuisance. Make sure your site is easy to navigate. Have it inviting yet simple. A quality e-commerce platform helps to simplify the shopping process. The verbiage should be in easy terms and easily understood. Your return and refund policy needs to be precise and direct. Keep everything simple and to the point. When offering online discounts, free shipping, two for one specials, etc, again keep it simple and easy to use and navigate. There is nothing more frustrating than a website that’s confusing and difficult to use making purchases difficult. Be user friendly. Shoppers love free shipping. It’s a great promotional tool especially when your business is just starting up. As your business grows, you can still offer free shipping but it is advised to offer it with a set minimum purchase in order to receive it. Since you have an online business it may benefit you to ship not just locally but internationally as well. Being online your store is available world wide; people from all over the globe can view it. Hopefully, by shipping internationally you will gain recognition, repeat business, and increased revenue. There are stipulations and additional cost associated with international shipping. The delivery time and customs often delay the package a bit, but will make it there. Check with you local post office for rules, regulations, and cost for exact details. No matter what form your business is, superior customer service and quality products is key to the growth of any business and in getting repeat business. It’s important to let your customers know you appreciate them and value their business. Offer the occasional special promotion. Make them want to purchase again and to spread the word about you. Cathy West is a freelance writer from California. She is a domestic diva and a physical fitness enthusiast. Author’s note: this is something I’m not sure I would use all that often, but I did check it out and it works pretty well. Might be fun for parties, weddings, family reunion type things. I guess if you want a still photograph, instead of just an iPhone movie this would be the app. I look forward to their adding a few more social media platforms. LOS ANGELES, CA (August 23, 2012) — A revolutionary new iPhone app for photo sharing called SeeMail allows users to add voice notes to photographs and is now nominated for the prestigious iMedia Next Wave Start-Up Challenge competition. No other app has ever blended photos, captions, locations, and audio like SeeMail. SeeMail is not another endless stream of photo sharing. SeeMail is personal, intimate, beautiful, fun and easy and brings storytelling to social media. iMedia’s Next Wave’s competition focus is on highlighting early-stage technology companies redefining the mobile marketing industry. SeeMail was chosen from a pool of hundreds, as determined by iMedia’s Next Wave Advisory Board to participate in Phase III, (community voting) of the Challenge and voting can be completed online at http://www.imediaconnection.com/iMediaLists/2012/breakthrough-next-wave/mobile-entertainment/SeeMail/. Facebook Sharing: Some moments need to be shared quickly. So now you can share a SeeMail to Facebook, even if you do not share directly to another SeeMail user. So, you can public post a SeeMail without sending it directly to another person. Twitter Sharing: By popular demand, you can now share your SeeMail’s to your Twitter account. If you have multiple twitter accounts set up on your iPhone, you can share it to multiple twitter accounts at the same time from inside the app. Full Web Experience: Every SeeMail that you share to Facebook or Twitter will automatically populate to your personal SeeMail Web page. Try It Out Feature:It’s a great way for new users to experience the app without logging into Facebook. View a welcome message and compose your own SeeMail to be sure it’s right for you. SeeMail can be downloaded for free at http://itunes.apple.com/us/app/seemail/id429509393 and additional information can be found at www.seemail.com. It can be a bane of life to select the appropriate channels for marketing the online business. The effectiveness of a sound marketing channel or medium cannot be put aside as it can lead you to an increased number of sales. If you are confused about what to consider while promoting the online business, then you must check out the following mediums (including SEO marketing) for marketing your business online. Niche advertising, Google AdWords, social media advertising and SEO marketing are all revolutionary methods of advertising that can take your business to the next level. Once you are setting up an online business, you must keep a niche in mind. Determine the accurate and exact niche you want to go with, which should comprehend your online business. When you focus on a single niche, then your chances of increasing the ladder are increased rapidly. You can increase your Google ranking in a quick span of time, if you focus on just a one niche at a time. It would make you build trust, which would pave way for you doing online business in other niche as well. Many options are in front of you, once you determine the niche you would like to work on. You can go with article marketing on various article directories such as Ezine etc. Sticking to just one niche at the start helps a lot. Again, a great place for newbie to show their talent. As a start-up online business, you must look to market your services or products through Google AdWords. Competition is high at this place, but you need to stick to the guns, and wait for the results to show. Sheer knowledge of SEO marketing strategies can also come handy, when you are looking to market the online business through a proper channel. Get it started at Google AdWords with the help of flyers. This is kind of a test drive that can let you with an idea of possible future outcomes. Social media has become a part and parcel of lives of almost everyone. If you advertise properly on social media, then it can let you do the trick. Sites like Facebook and Twitter simply pay you dividends in connection to marketing the business online. Thousands of people are associated with such social media sites, and your ad can attract huge traffic, provided you do the basics of internet marketing in a required manner. You need to come up with an interesting and catchy tagline that can attract potential customers to check out the ad you have posted. Increased traffic to the website is considered as the main goal. To achieve this, stumbleupon is a handy tool that guarantees increased traffic to the site. This medium of online marketing lets the visitors to stay on the page for about 5 seconds, which are enough to market the business at the first glimpse. If your services or products sound interesting, then the visitors would definitely spend at least couple of minutes on the site. Many subscription plans are there when you go with stumble upon. Select the right one keeping in mind the status of the online business. The traditional methods of advertising for brick-and-mortar businesses included expensive television commercials, billboard signs and magazine articles. Online marketing through such avenues as StumbleUpon and SEO marketing can strengthen your business’ online presence to unfathomable height. Bough SEO is a SEO marketing company that has worked with various clients to promote online growth using SEO techniques. Even the best sales people are only as good as the information they’re given. In the modern business world things can change three times between the start of the workday and lunchtime and another four times before the business day ends! Giving your team the power of customized sales apps tailored to your unique business needs can give them the edge they need to close that big deal or secure that monster customer you’ve been trying to hook for months. Sales apps customized to specific needs are a great investment for any company! A business-specific sales app doesn’t need to be overly expensive, and the possible cost of not having one can be enormous. Lead management is another consideration. If your sales people can click their lead management app at the end of a meeting to tell you what prospects have become definite clients, which ones aren’t worth wasting time on, and which ones maybe need a little extra “nudge,” you could save yourself and your company unbelievable amounts of man hours and money by targeting leads that really have potential as customers. Sales people spend about five hours of work time on average for every sale they make, and a dedicated lead management app internal to your business can help you target their efforts more efficiently. Other sales apps can help your team keep in touch from remote locations such as outlying towns or even other countries. By setting up functionality that allows them to instantly access everything from production figures to shipping manifests, you can give your sales team just the edge they need to negotiate a bigger deal at more attractive terms for your business. These apps can also be used to let you know immediately if the climate or timbre of the negotiations has shifted favorably or otherwise, keeping you in the loop and up to date at all times. Anything that gives your sales team another tool to be more profitable and generate more revenue is worth investigating, and sales apps are less expensive than ever before. With customizable interfaces for iPhone or Android phones, your people can simply upload your custom app to their phone and voila! Instant communication and access to the information they, and you, need to stay competitive and one step ahead of the other company. By creating custom sales and lead management apps for your sales teams, you combine the power of your business with handheld, one-touch functionality. If your sales team can readily access facts, figures, data, and charts, you don’t have to worry about a slick talker fudging numbers and winding up with an unhappy client, and the fact they can access this data right from their phone is sure to impress potential clients. The best part is that you can focus on other aspects of business knowing that, whether they’re just down the street or negotiating a deal in Dubai, your sales team has a secure and ready means of letting you know the minute something changes. Video communication is not just something you see in sci-fi films anymore; it is now all around us. 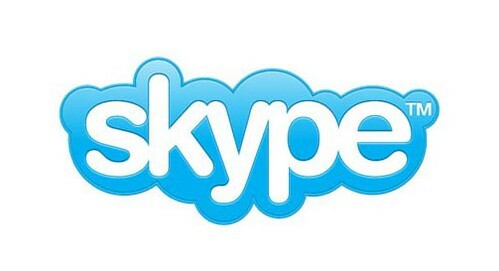 Over 400 million people around the world have opened a Skype account, and around 30 million people use it concurrently. In 2005, Skype was sold to EBay for $2.6 billion – and then in 2011 Skype was sold to Microsoft for $8.5 billion. This gives a huge indication of the rate at which Skype is expanding; invading workplaces everywhere around the globe. Even though Skype plays a big part in people’s personal lives (being able to contact family/loved ones who are far away) – it also plays a big part in the world of Business. Companies around the world are beginning to wake up and smell the Skype; beginning to understand the true power of the online communications giant. Here are the top benefits of using Skype for business. On Skype, if you call another Skype user it is completely free – and the same applies for the video call functionality. If you are looking at Skype’s ‘no fee’ service; instant messaging & screen sharing are also free to use. However if you want to call a landline or mobile does indeed offer lower rates than other phone services; in 2007 Skype conducted a survey which revealed 95% of companies using Skype had reduced costs on telecommunications. Skype also offer a premium service which can be seen to benefit companies through extra features. Choosing the premium service can be to the advantage of a company. With the premium service the user is entitled to zero advertising, live chat customer support, 30% off a HD webcam…and most importantly group screen sharing & group video calling. Group screen sharing & group video calling are perhaps necessities for a business in the contemporary workplace, for sharing work with colleagues couldn’t now be easier; creating a more efficient workplace. In a survey of 250 companies which use Skype, a whopping 80% remarked that it improved employee productivity. Client proposals can be created online, designs and files can be pinged around from one employee to another – faster than ever before. On top of this, with Skype’s group calling it eliminates the need for another service’s conference calls – again, reducing costs. Creating relationships within your business is important; whether it be with colleagues, bosses, clients or even consumers. Face-to-face interaction is the best way to forge & nurture relationships, which is why Skype is seen as a completely valuable tool within a modern day business. Building lasting relationships through your business will always be financially rewarding in one way or another. By utilising Skype, you’ll be taking positive steps towards ensuring bridges are being built internally & externally through your business. 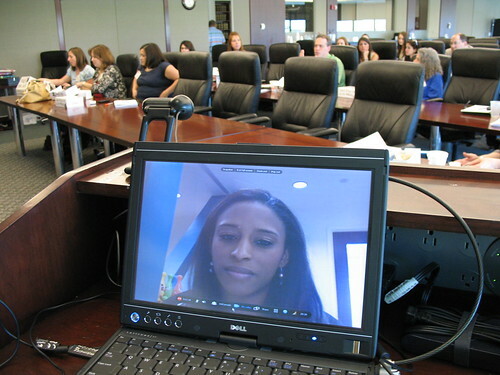 It is becoming common practice through many industries to use Skype as a method of interviewing. Interviews can sometimes be a costly practice for companies, having to pay for travel & accommodation for many potential employees. However using Skype, interviews can be conducted to gain a very good idea of an employee without them having to travel; wasting time & money. Skype interviews also allow the employee to feel more comfortable, since they will perhaps be operating from their home environment and will not have to worry about getting nervous in a waiting room with potential sweaty palms. The only downside to Skype is that sometimes you may experience some lag on calls (delay), or even calls which are rejected/broken up midway through. Also, there is plenty of information on the internet regarding security of your company; that privacy is potentially an issue with Skype. However, if you read up on being secure whilst using Skype; you should have nothing to fear. In the coming years, Microsoft, who now own Skype, will be seen to be doing their very best to keep Skype security-safe. All in all, with so many different features Skype has to offer – it will able to help your business in one way or another. Reducing costs, increased efficiency and relationship building are just some of the ways Skype’s services could have a positive impact on your business. Skype is the future, and the future is now. Many thanks to Ladbrokes Online for their assistance in compiling together this article and helping us understand how communicating and interacting online helps further businesses. When it comes to the things that we are passionate about, it can oftentimes be difficult to give up control. Whether we are entrepreneurs trying to make sure our ideas are being executed the way we see fit, or we are managers who want to make sure our team is doing work that will reflect well on us, micromanaging is not the solution. There are different ways to supervise without micromanaging every detail and it starts with being organized. To begin, it’s important to set up a structure that allows for an employee to be flexible and develop his or her own thoughts without being slowed down. For a few milestones throughout a project, it can be beneficial to check in to see how things are going and if need be, to make minor adjustments so that the project can continue to move forward. Along with being organized is using the right tools to stay on top of projects. Online project management tools are a great way to measure progress without having to be directly involved in all of the small details. It is easier to set clear deadlines and expectations without actually having to get an update every single minute. Entrusting your employees to their tasks is a great way for everybody to see the importance of their role in a project. Not only is knowing how to handle micromanaging important, it’s important to know why it doesn’t work. One of the biggest reasons is that micromanaging makes you less productive and is ultimately a time waster. What’s the point of having an employee if somebody spends just as much time and energy supervising and criticizing, picking apart their performance? That time could have been spent working on other tasks that need to be completed so that twice as much work can be done in the same amount of time. Read over your employees’ job descriptions. How many of these are tasks shared by a team, and how many are tasks you try to “help” with? If there are any overlaps, this is where you desperately need to relinquish tight control for the sake of your own effectiveness. Encourage employees to give feedback about their own work processes. If anyone is capable of coming up with actionable ideas, it’s your very own team. Give your employees “enough rope to hang themselves with.” This is where you can start to build trust and train yourself how to better identify talent. At the end of the day, it is difficult to give up bad habits, especially when you’re not always aware that you’re doing it. It’s an important step, however, if you want to foster a positive and productive work environment. Guest author Malia Anderson is a finance writer and experienced blogger from Greensboro, NC.